The pressure cooker is an appliance with just too many capabilities and functions. It is a thing you are going to use every day in your kitchen. In a previous era, pressure cookers were a feared appliance considering the number of times they resulted in melted gaskets and safety valves. But not anymore. Modern pressure cookers come with several safety features that make them extremely safe to use, as long as you follow the instructions. Here’s what you need to know about buying the right product. Boiling: If you are on a diet or trying to eat healthy, there is nothing better than having boiled vegetables. The pressure cooker does this very well. Making curries: Indians are known for their love of masalas and curries. This appliance will do the job very nicely in a very short time. Vegetarian and non-vegetarian dishes: Whether you are a vegetarian or a non-vegetarian, this appliance is going to make all your favourite dishes with ease. Fast cooking: After a long day, the last thing you want to do is stand in the kitchen for a long time. 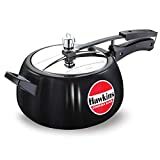 The pressure cooker makes it possible for you to cook almost all kinds of foods quickly. Nutritious food: Food that is cooked in this appliance retains all of its nutrients. Use it regularly so that you can enjoy nutritious food every day. Variety: A pressure cooker allows you to experiment with different cuisines because it makes the matter of actual cooking possible within a fraction of the time required in traditional modes. Saves fuel: When you use this appliance regularly, you will find your gas cylinder lasting a longer time. This way, you save time. Here are a set of tips to help you arrive at the right product. The brand is crucial. Buy a branded product because that is going to ensure its quality. A pressure cooker is a sum of its parts. So a product that has parts which are of high-quality will ensure longevity. This appliance is meant to last decades and it is important to choose a product that has easily available spare parts. Make sure you buy an appliance that makes sautéing and frying easy because that is the basis of Indian cooking. Hawkins: This is the name synonymous with pressure cookers. Choose one from this brand and you won’t be disappointed. 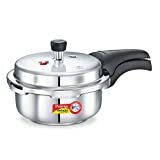 Prestige: This is another great brand in the pressure cooker industry and it has a range of stunning products in every shape and size you can think of. 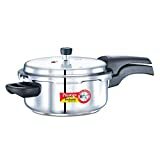 Pigeon: The brand has many types of pressure cookers to choose from and is available all over India. Maharaja: This is another pressure cooker company that has a pan-India presence.